John is best known for his two time Emmy-Award-Winning Weekly Series: Around the Corner with John McGivern, which airs on all Wisconsin PBS Stations and starting in January has been seen on every PBS World station in the country. His own growing up in Wisconsin stories have been seen in the Emmy-Award-Winning PBS Special The Early Stories of John McGivern. 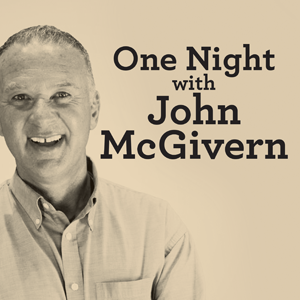 You can find his Around the Corner with John McGivern monthly feature in Milwaukee Magazine. He is a long-time member of Milwaukee’s Morning Radio show on WKLH/96.5.